The words ‘Io Uyzuy’ were given to me by Spirit speaking through me and to me, about two years into my path as a channel. Spirit gave me this exact spelling, and when Spirit speaks the words through my voice, it sounds like ‘Ee-Oh Oo-Ee-Zoo-Ee’. At this time, an online search for ‘Io Uyzuy’ results in zero listings. I am the only person I know who is receiving this specific information; however, I work with hundreds of people whose bodies channel similar movements, and whose voices channel ‘celestial’ language & music. I have worked with people around the U.S. who have never met each other, yet are channeling very similar languages, and my body has moved in perfect synchronicity, or ‘channeled choreography’ with total strangers, hundreds of times in ceremony. So I feel many people are channeling Io Uyzuy, and I believe I am a ‘master activator’ of the modality. Spirit tells me there are other people around the planet who are receiving this ancient modality at the same level I am, and are also receiving the same information, but that we have not yet found each other. Spirit says Io Uyzuy has been popular in civilizations long past, and that it is compatible with all modalities of healing. 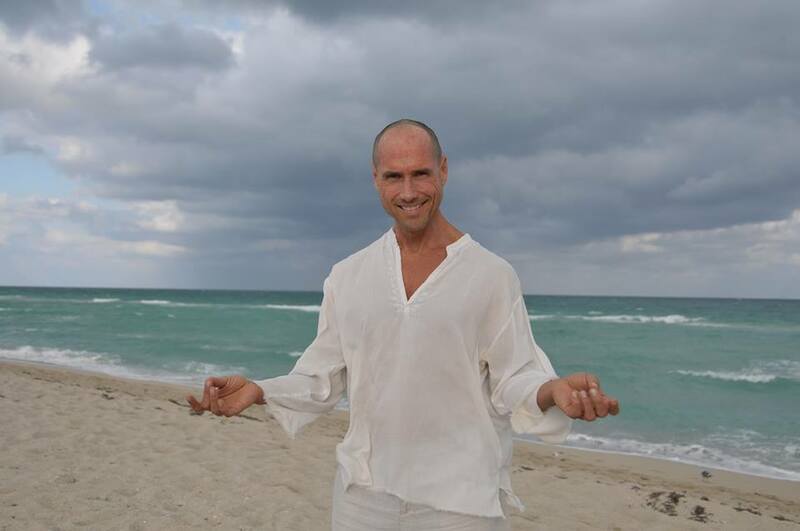 My left hand (my dominant hand) began moving ‘by itself’ at an ayahuasca ceremony in Miami, FL in May of 2009, and people began lining up for ‘activation’. The day after my hand began moving, a man came to me with severe throat and tongue cancer, and I knew in my heart that I was to perform a miracle with this man, so I worked with him 3 times a week, and in 7 weeks, the man was declared completely cancer free. Because of this miracle, and because I had been told by psychics for many years that I would be a great healer, I put everything into this new healing practice and did free healing work on anyone and everyone. After a few months, my right hand began moving, and over time, both hands moved in concert. Then the spirits of the serpent, the jaguar, the tarantula & other animal spirits began moving through my hands, my body & my being, to provide a different level of healing. Then the Ascended Masters began distinguishing their presence in me, each one of them moving differently through my body & voice. Many participants in my ceremonies have reported literally seeing beings like ‘the Mother Mary’, the ‘Archangel Metatron’, ‘Jesus’ & ‘the Green Man’ when looking at me while I’m channeling. Early on, I realized I could do ‘remote transmissions’ for people anywhere on the planet. I have done sessions primarily with people in the U.S., but also in India (from the U.S.). It helps to hear the person’s voice, or to see their image; however, I have worked with people having only been given their name and the name of the city they live in — and consistently, people have powerful experiences. Celestial languages, songs & whistling began moving through my voice in 2011. The sounds were simple at first, but over time my voice has opened more and more; now the range of ‘pre-and-early-Earth’ languages and music styles moving through me is impressive and resembles everything from opera to aboriginal chants. 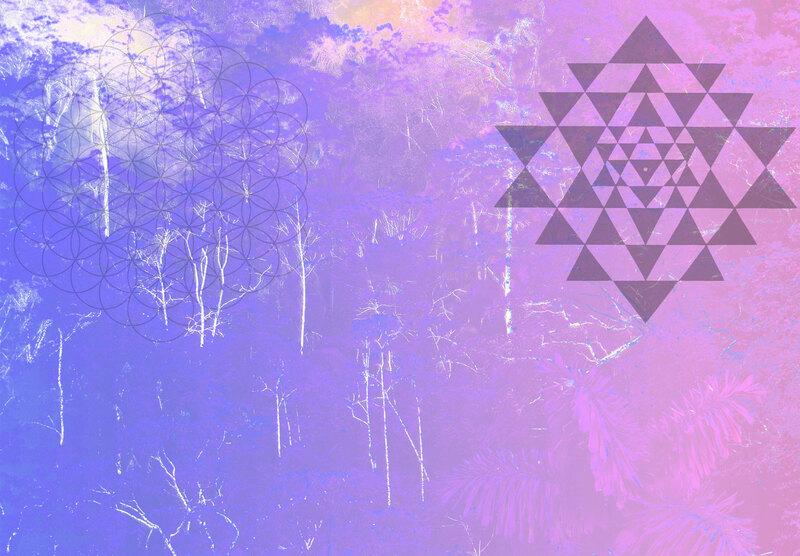 In ceremony, people have seen beams, waves & walls of multicolored light & sacred geometry coming out of my hands & body. People have seen tall luminous beings standing beside me and behind me, and more classic images of angels with wings. During transmissions, people have felt hands all over their bodies, serpents gliding across them, heard voices speak to them – and whole groups have witnessed sudden shifts in temperature & lighting in ceremonial spaces. I did not know the word ‘mudra’ when I began channeling, but mudras quickly began forming in my hands, and now my hands dance like birds, making hundreds of distinct mudras in conjunction with the dance Spirit performs through my body. I palpably feel the ‘energetic forces’ I’m pulling out of people, and Spirit guides me to send these forces or entities into any number of directions or options, depending on where we are doing the work. So energy may be transported through the art in a person’s home, or into the walls or doors, into family photos, altars, crystals, gold, singing bowls, statues, icons, or out the window to the trees & sky, or simply down, down, down, whether it’s on the grassy ground, or in a church, or a high-rise apartment building. Working on sacred ground, or at least out in nature, is ideal. Working in temples and healing studios is also powerful. And the work can be done anywhere, and without any ‘tools or totems’ – it is the intention & the act of doing it that matter most. In circles & ceremonies, a different kind of transmission occurs in addition to the kind described above — it is the exchange of energy/entities/demons between the participants, as facilitated by the conductor/s, which is me and/or other healers. This is the ‘violet flame’, or the transmutation of darkness to light. We may have never met the people sitting with us in the circle – at least not in this incarnation – but we have some kind of history with them, which most often includes traumatic incidents, and so there is a karmic debt to work out. We are ALL healers, and when we come together in the space of love & light, to do healing & spiritual work, then we open to our highest abilities, and healing happens. My consistent experience for the past 5 years, with hundreds of fellow healers & thousands of participants, is that the work I am engaged in goes very deep, often deeper than people have experienced before, even if they have practiced the healing arts for many years. People who have worked with plant medicine like ayahuasca often say Io Uyzuy ceremonies are similar — altered states, purging, visions & realizations, and powerful connections to spirit guides. EFT and other courses teach series of tapping gestures. By channeling Io Uyzuy, one can bypass the tedious process of learning by rote, and simply allow Spirit to move the hands to tap, rap & thump all over the chakras & power points with a rapidity, rhythm & flow that far exceeds anything we’re going to learn by rote. Some of the movements in Io Uyzuy resemble traditional movement forms, such as Qi Gong, Tai Chi, martial arts & multicultural dance forms. Again, all these traditional forms are taught as series of moves, whereas Io Uyzuy simply comes from within & expresses itself as we practice & allow it, either on our own, or in ceremony with facilitators or ‘activators’. There is more to channeling Io Uyzuy than the surrendering of the body & the voice. Breathing is equally important, as frequency & entities move with our breath, and so Spirit guides the healer’s breathing during the work. One must also develop greater sensitivity, be willing to feel deeply, and experience the full spectrum of emotions. This opens our hearts, so we have real compassion, empathize with the subject/s, feel the feelings of the entities being released from both the subject and from the healer, and are present to the suffering of the world. * After decades of neck, back & sciatica problems – and a lot of money spent at chiropractors offices that produced little or no change in my condition – I now have zero issues & see no doctors. * The tips of my teeth had become clear, due to loss of enamel, years ago. My teeth are now whiter & stronger, even at the tips. * I had a completely torn ankle ligament in my 30s, leaving me unable to releve, or ‘rise up’ to a demi-pointe on my right foot. Just in the past 2 years, my ankle has received much healing & can now releve for several seconds at a time, and is consistently becoming stronger. I grew up in the theater & worked in the entertainment industry, but I never had this kind of singing power in my voice, until the Spirit moved through me. I stopped dancing professionally at 33; now all this channeling & healing has resulted in my having more core strength, grace & balance in my body at 55 than I did at 33. My whole life is now more of a song & dance – and a multidimensional journey. On this path, there has been much wandering, wondering, struggle & mystery. It has been a roller coaster ride of challenges & rewards, confusion & epiphany, introspection and the opening of the heart, wider & wider, to embrace the world and all of life. Perhaps I am indeed channeling the ‘Ascended Masters’, the spirits of the plants & the animals & more, but I am also most certainly channeling a higher dimension of myself. This is the integration of dimensions, the ascension process in action. The path unfolds, the lotus blossoms, and we walk forward in faith.